The Halifax Crafters Society is hosting a fun Pop-Up Show at Two if by Sea (TIBS) in Dartmouth, this Saturday from 8am-5pm. I'll be there with a booth selling new collages and encaustics, among other artwork. I had some great help this week getting ready for the show while my mom and dad were visiting from Ontario. They are both super crafty, too, with their Wooden Things shop and offered to lend a hand so I happily obliged. 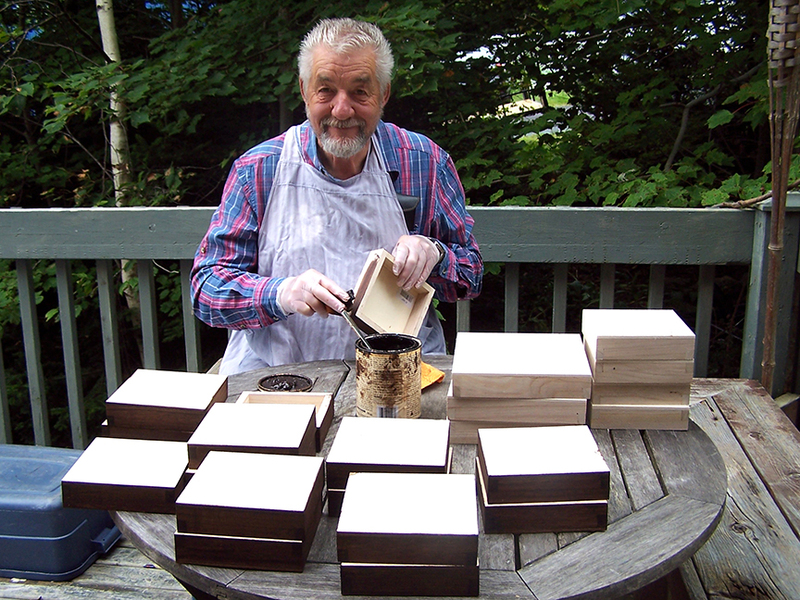 Above is my dad staining wood blocks in preparation to mount my map collages. Meanwhile, my mom helped me cut out all the little reproductions of my paintings for the collages. 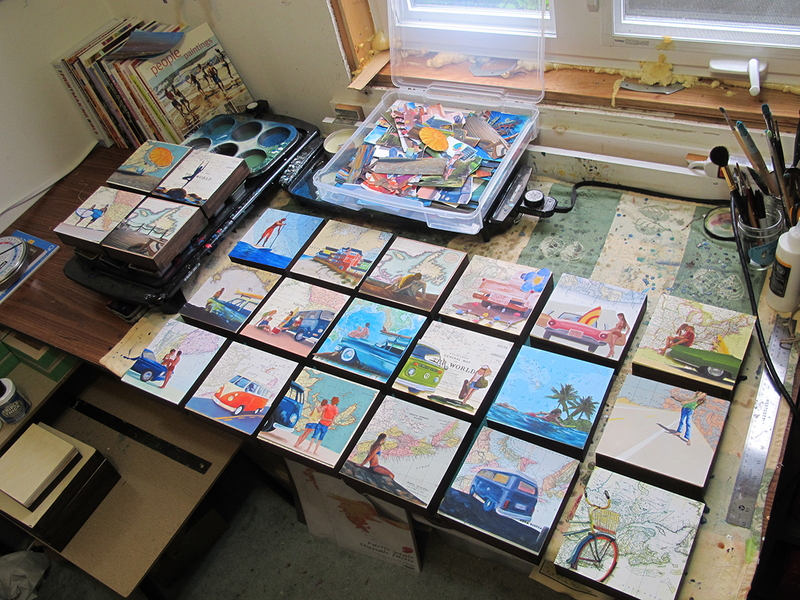 A few more steps to go and they'll be all ready for the TIBS Pop-Up Show. 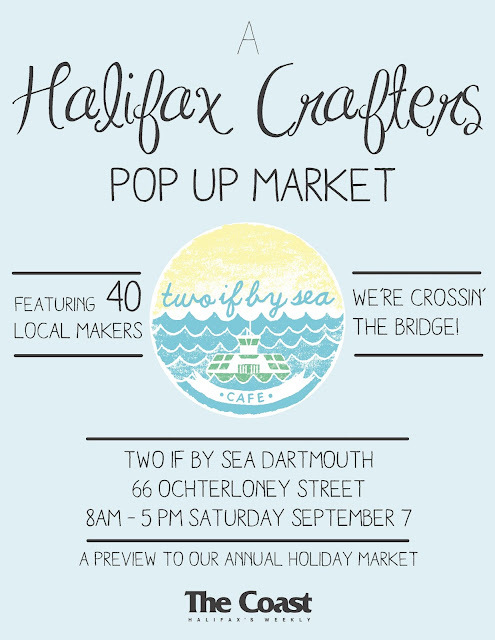 I will have a helper tending my Halifax Seaport Market booth this Saturday from 7am-3pm, and I'll be returning on Sunday from 9am-3pm.